Hi everyone! We hope you had an amazing Halloween/Day of the Dead weekend! We’d love to see how you celebrated these spooky holidays, so feel free to share and tweet us your photos. 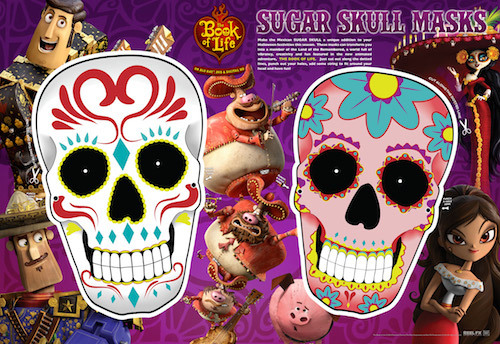 We caught up with Book of Life director, Jorge R. Gutierrez to ask how he and his family were going to celebrate Dia de los Muertes (Day of the Dead) and get ideas for our own celebration. Take a look at the video below for his answer, and don’t forget to visit the Book of Life website to light a candle in honor of your loved ones!